SEATTLE, Nov. 2016 – Washington state-based Alaska Airlines today made history flying the first commercial flight using the world’s first renewable, alternative jet fuel made from forest residuals, the limbs and branches that remain after the harvesting of managed forests. The alternative jet fuel was produced through the efforts of the Washington State University-led Northwest Advanced Renewables Alliance (NARA). PULLMAN, Wash. – The newest findings about using material left in forest slash piles to produce alternative biofuels for jet aircraft and other co-products will be presented in a series of five free wood-to-biofuel webinars in October. Participants may register and learn more at https://nararenewables.org/features/webinar-series. The Northwest Advanced Renewables Alliance (NARA) will discuss the feasibility of building a Pacific Northwest industry that uses post harvest forest residuals, branches and top left in slash piles, to make alternative jet-fuel and other bio-products. PULLMAN, Wash. – The University of Idaho McCall Outdoor Science School (MOSS) has received a national award for advancing learning in science, technology, engineering and math (STEM) through projects addressing real environmental problems. MOSS (http://www.uidaho.edu/cnr/moss) was one of five programs to receive the $25,000 Underwriters Laboratories Innovative Education Award (http://ulinnovationeducation.naaee.net/) out of 120 applicants in the U.S. and Canada. SEATTLE – Washington state’s hometown airline is teaming up with the Washington State University-led Northwest Advanced Renewables Alliance (NARA) to advance the production and use of alternative jet fuel made from forest residuals, the tree limbs and branches that remain after a forest harvest. Seattle, Wash. – The second Northwest Wood-Based Biofuels + Co-Products Conference will be May 3-4 at the Seattle Airport Marriott. It will highlight research findings to promote collaboration among attendees to convert wood to biofuels. A unique track for K-12 educators will provide lesson plans to connect bioenergy to STEM education. Although the focus will be on regional efforts, a national and global perspective will be included. Seattle WA – February 5, 2014 – The Northwest Wood-Based Biofuels + Co-Products Conference is set for April 28-30, 2014 at the Red Lion Hotel Fifth Avenue in Seattle Washington. 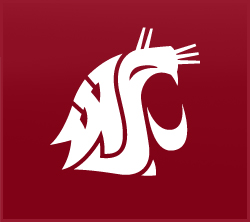 PULLMAN, Wash. – Students at Washington State University have assessed possible sites for biorefineries and other facilities in the Pacific Northwest for processing wood from slash piles into jet fuel and other products. The group will present its findings in a webinar at 2:30 p.m. Wednesday, Nov. 19.